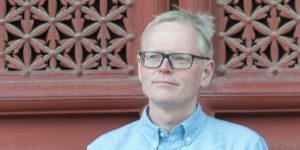 Journalist Ian Johnson provides in The Souls of China: The Return of Religion After Mao an unprecedented view on how religion has been developing in China over de past years. In an interview with the author for the LA Review of Books Ting Guo argues Johnson did miss important developments. Ian Johnson disagrees. You provide readers with a religious landscape of China, taking them by turns to different regions. But some important places are missing from your map. As a Southerner, for instance, I felt that Jiangnan — a region with major cosmopolitan cities like Shanghai and home to Zhejiang province, a place that has seen a religious boom — was skipped over. I don’t exactly agree. I specifically put in a large section on Jiangnan. The Master Nan chapter is set there, as are key parts of the chapters on internal cultivation. But I take your point — there isn’t much on areas like Fujian or Guangzhou, which have important and vibrant religious traditions. I was faced with a quandary: a book about a huge country has to be selective in order to be coherent. A survey of China would be a different kind of book. Any book involves a series of choices and this was no different. When it comes to books about religion in China, many people in the West would expect to see chapters on Tibet and Xinjiang, but I focus on Han Chinese. This explains why I don’t include deal with Islam, despite a strong interest in that religion that shows through in my other writings, from a previous book, A Mosque in Munich, to interviews I’ve published with scholars working on Chinese Muslims, such as Matthew Erie, and pieces I’ve done on recent books about Xinjiang. I also selected aspects of religions that I thought were more indicative of China’s future development. So I don’t write too much about Wenzhou and “boss Christians,” who are successful business people with large churches, because I think they are specific to a region and a model that is dying out. More in the LA Review of Books. In March he won the prestigous Shorenstein Journalism Award.